I’m so ready for camp to start on Monday. Bring it on! This summer, I’ve got the kids when I’m not working, and it’s great. But I need some hours in the day to get things done, so hello to camp! And hello to having a smidgen of peace and quiet. 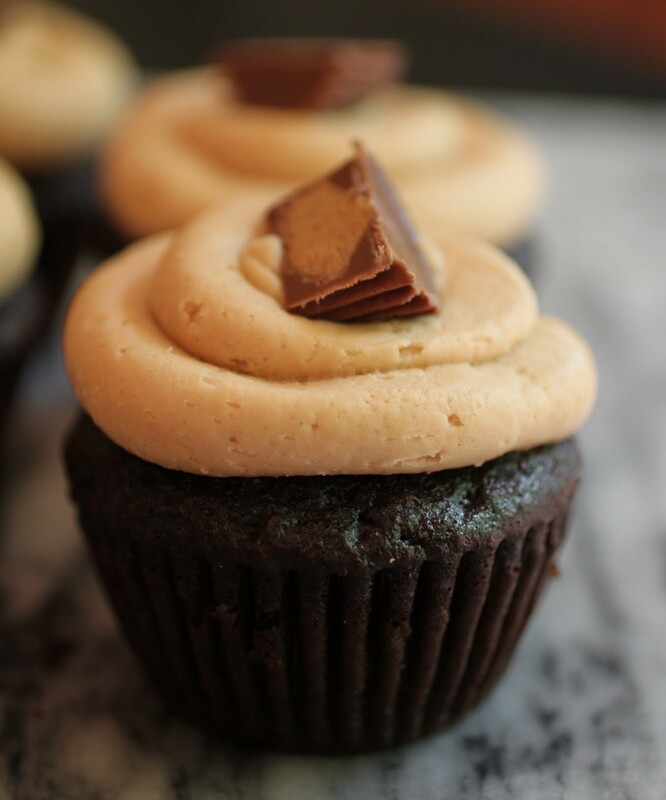 And hello to peanut butter cups! 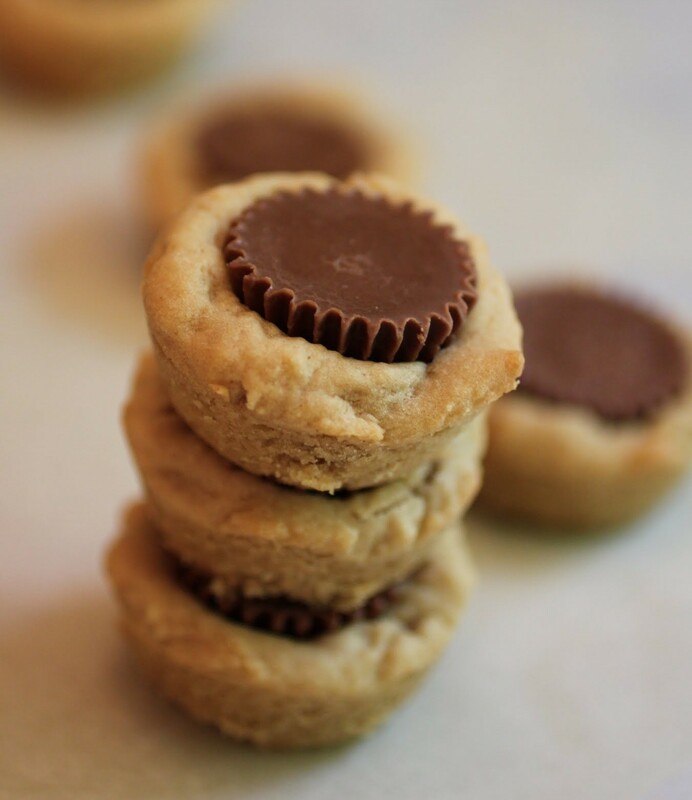 My favorite candy is back in these flourless PB cookie cups. They might not have any flour, but you won’t miss it at all with all this peanut butter goodness! 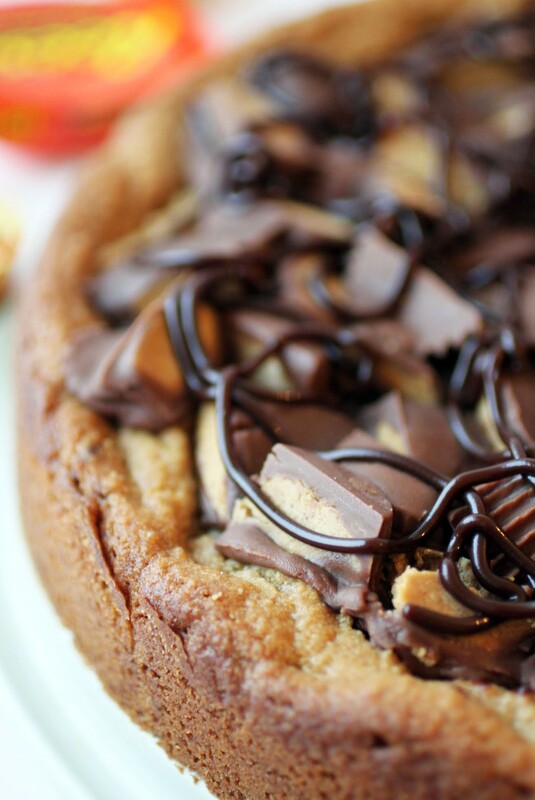 Peanut butter cup lovers, prepare to be very happy. And when I say “happy,” I mean thrilled. Excited beyond the bounds of belief. You all know that I have a passion for bar cookies, and I have an equally great passion for chocolate and peanut butter. In my world, no snack beats a Reese’s peanut butter cup. 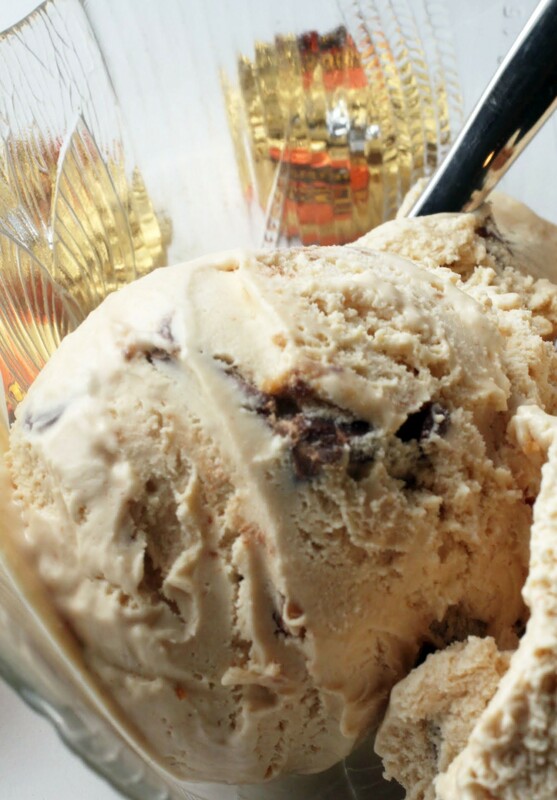 In fact, the absence of PB cups in life is a really good reason to never give up on sugar. 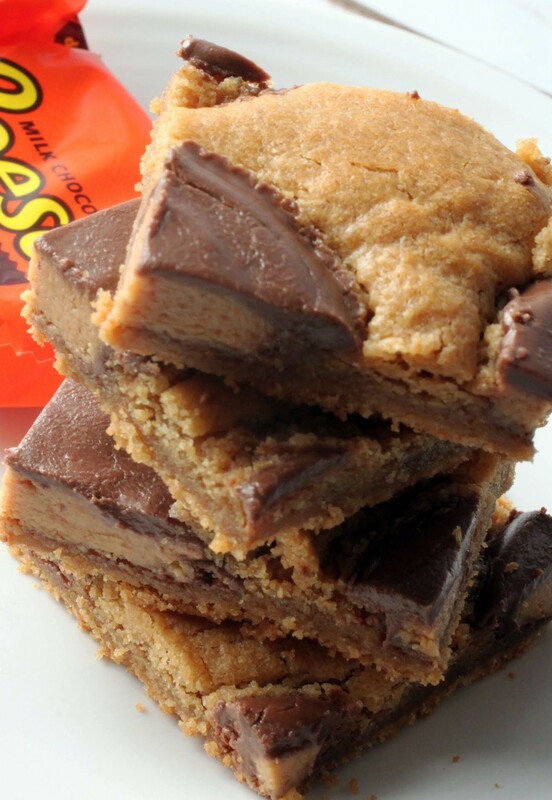 These are dense, chewy, peanut buttery, and flourless. That’s right. 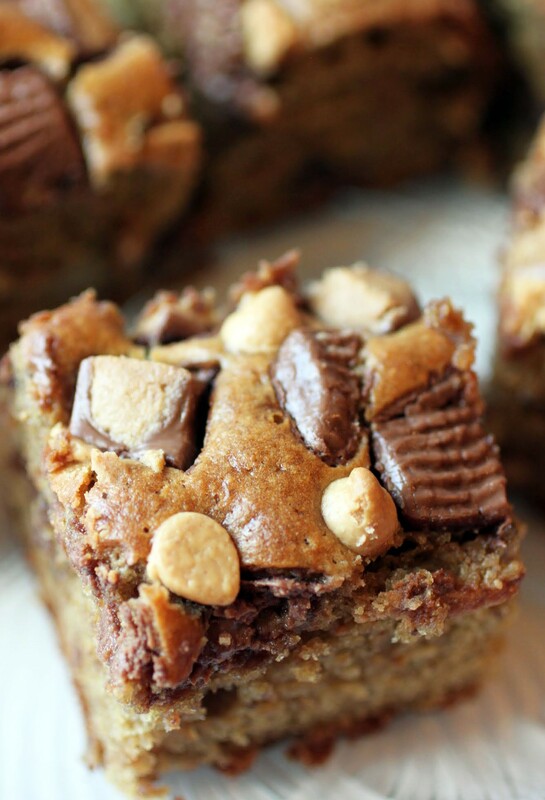 Why do you need flour when these bar cookies are decked out with enough peanut butter cup goodness to satisfy even the biggest fanatic? Nothing is better than tricked-out popcorn. I used to take regular pilgrimages to NYC before the kids came along, and back then, there was a Popcorn, Indiana store in Times Square. I’d go there and order popcorn slathered in chocolate, have them pack it up in a big bag, and eat it on the train ride home. Like all great stores, that one closed down, but I learned my lesson: always dress up your popcorn as much as you can. 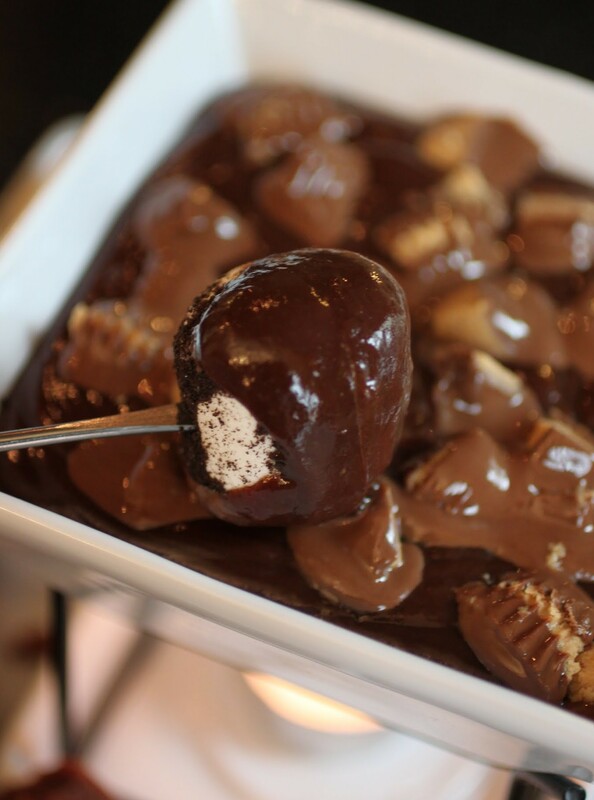 This one is covered in chocolate, mixed with Reese’s minis, and finished off with dollops of melted Reese’s chips. No trip to New York necessary for all of this madness! If you don’t, then there’s a big hole in your life. You know, that void where you have never experienced the joy of dipping food into melty cheese or chocolate. Be sad if you haven’t been there. But feel free to change your ways, and now! I’m attaching a warning to this recipe: you will eat it and not be able to stop. Be ready. Come with an empty stomach! I hope you find these cookies cute rather than gross. See, Kenny’s petrified of spiders, so these aren’t doing good things for him. I’m totally down with spiders. For one thing, they eat mosquitoes. That makes them awesome. And I took care of a tarantula named Pinky back in high school, and he was a real sweetheart. So I have very positive associations and all. 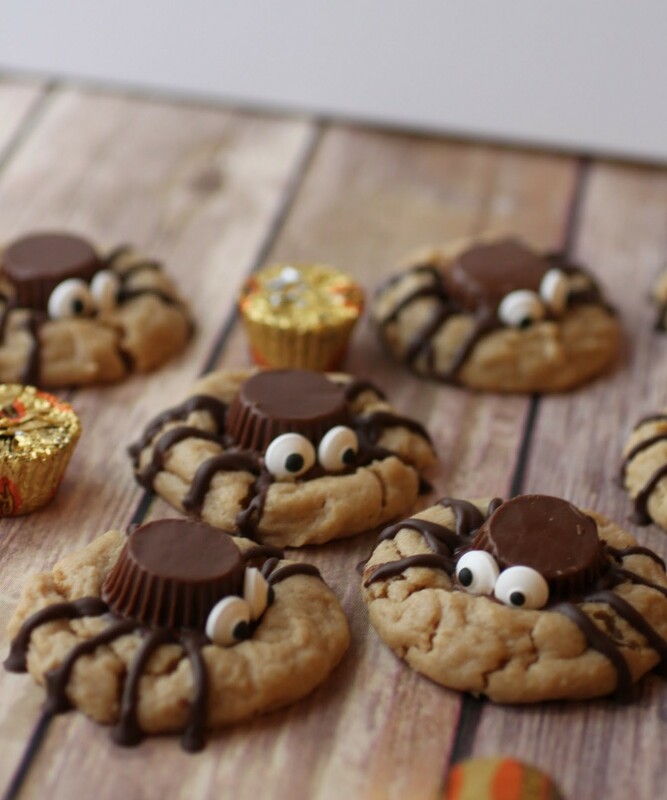 This is my favorite peanut butter cookie recipe all dressed up for Halloween. Is it me, or are creepy treats mainly just adorable? Must be the candy eyes. 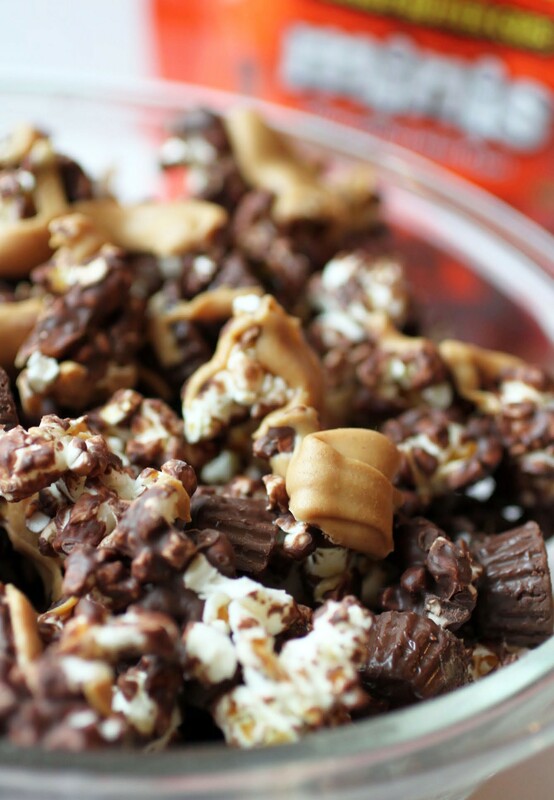 If you don’t like Reese’s peanut butter cups, we might be perfect for one another. Because I will totally eat all of yours. That’s right. You can have all of my Andes mints or Krackel bars. Those don’t rank so high with me. But if you try to get into my Reese’s supply, we’ll probably have words. Heated ones. These cookies are classic and indisputably a winner. 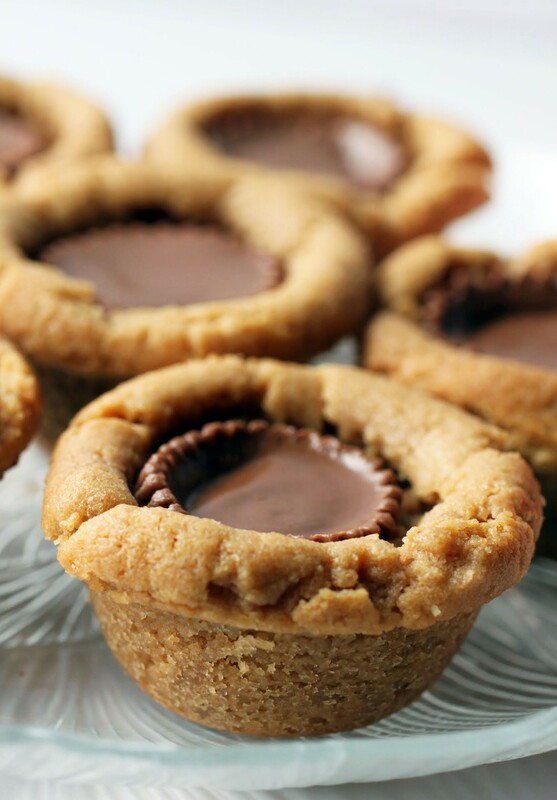 Who could argue with a peanut butter cookie wrapped around a peanut butter cup and baked into a mini muffin tin?